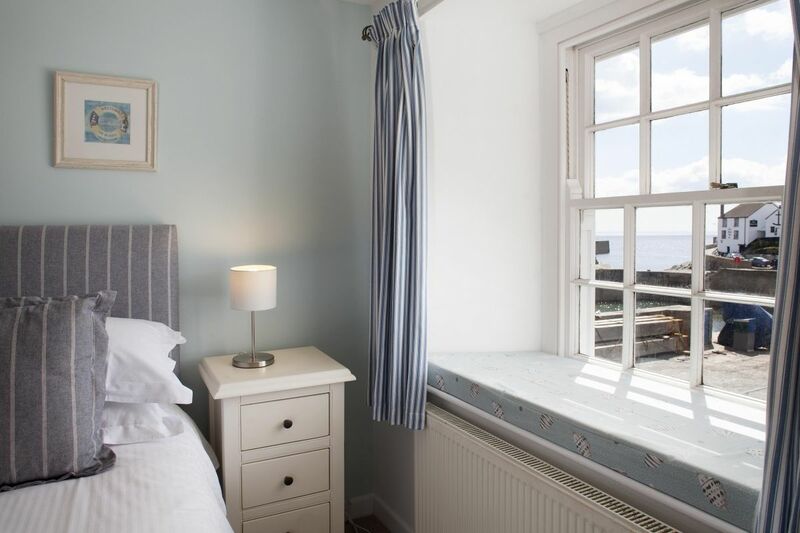 A traditional Cornish cottage in the centre of Porthleven, with lovely views over the harbour. 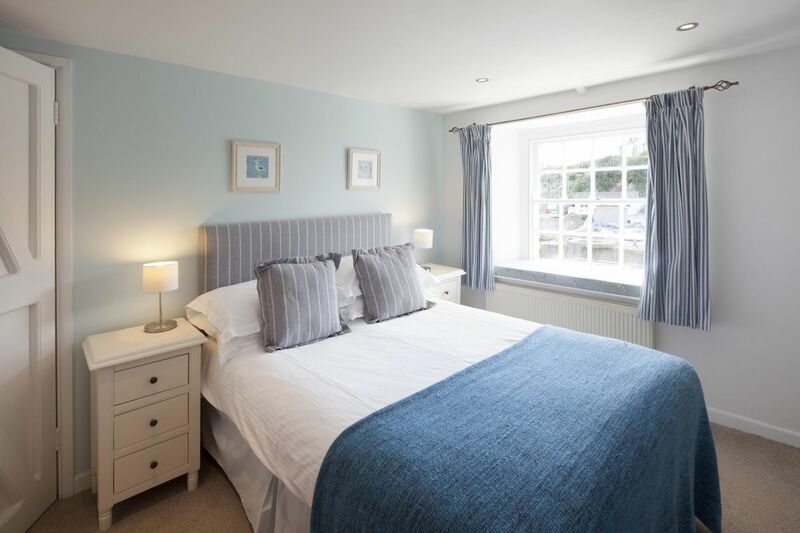 This lovely stone fronted traditional Cornish cottage is nestled on the far side of the harbour. It offers the perfect central location to enjoy village life. Well proportioned and furnished to a high standard, Jerboa 1 is a delight. 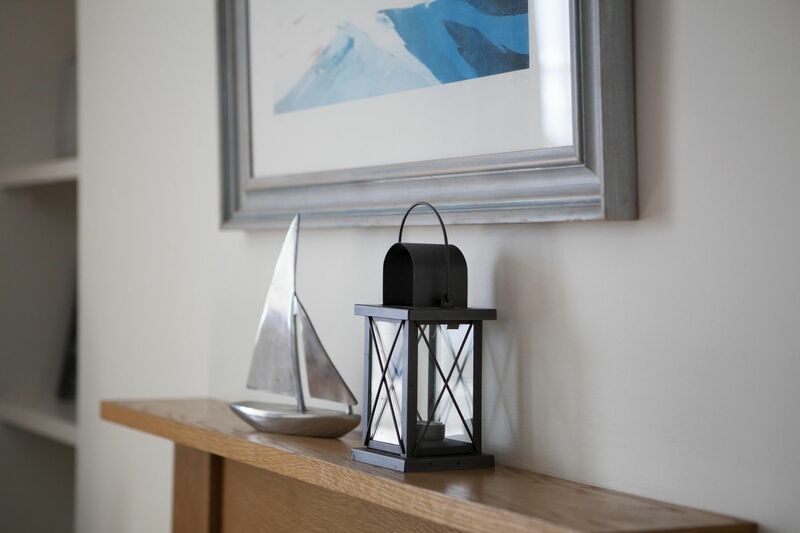 The beach and coast path are just 5 minutes walk away and you can enjoy evenings on the small patio to the front watching the boats roll into the harbour. On the ground floor is an open plan living area equipped with TV, DVD player and a Bluetooth radio. The fully fitted kitchen has everything you would need for evenings when you want to eat in – with ceramic hob, fan assisted oven, integrated dishwasher, washer/dryer, toaster, microwave and fridge/freezer. 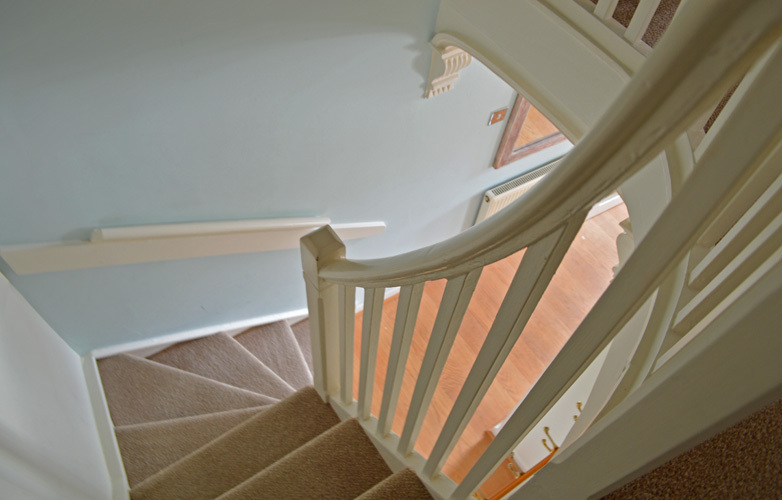 Upstairs there is a double and single bedroom at the front of the property and a single bedroom and family shower room at the rear. 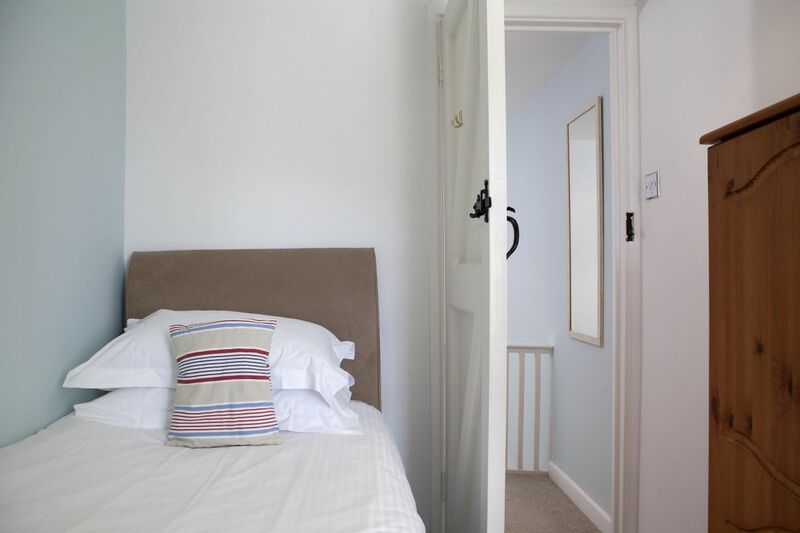 Oil central heating and good quality bed linen and towels are provided. With two other properties adjacent (2 Jerboa next door, and in the rear courtyard, The Net Loft ), there is the opportunity for extended family and friends to holiday together. Cots and highchairs are available on request. This was our sixth year at the cottage in Porthleven. The cottage has become a second home with everything we need. Porthleven is beautiful and welcoming. We love its location, as Porthleven allows us to visit and discover Cornwall - whilst having wonderful walks surrounding it to keep us close. We will be back again soon! We commend the property, the staff, the location, the weather, local restaurants and the shops. The beauty of the surroundings, sky, sea, boats are a dream, friendly people - why are we going home? The standard of the property is very high. It is extremely clean and warm with everything we need to make out holiday enjoyable. 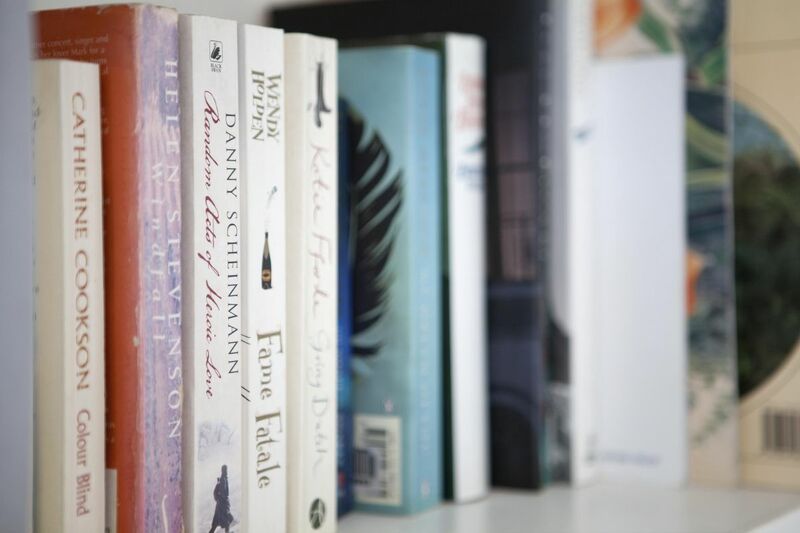 It was easy to books and on calling the office we were dealt with efficiently and pleasantly. Overall, we can think of nothing that could hav improved our stay and certainly hope to return. Beautiful cottage and good location. To make provisional bookings beyond 2019, please call us direct on +44 (0)1326 574270. Exceptional accommodation, and great service from the company. We will be back! Comfortable and cosy accommodation. Can't think of anything that would improve the experience. It was easy to book.. The standard of the property is very high. It is extremely clean and warm with everything we need to make our holiday more enjoyable. It was easy to book and on calling the office we were dealt with efficiently and pleasantly. Overall, we can think of nothing that could have improved our stay and certainly hope to return. Fantastic communication, friendly and helpful. Property Lynwood was wonderful, well maintained, clean, warm and inviting. First rate! Everything great. We love Fisherman's Loft. Thank you for the biscuits, wine and Christmas goodies - delicious! Loved the Christmas tree! It was a lovely holiday - see you in May 2016. Lovely room and beautifully appointed. 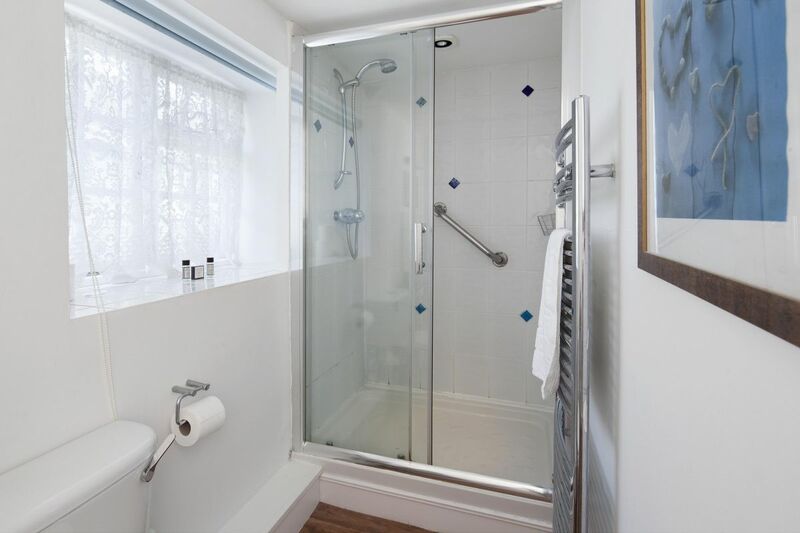 Beds very comfortable, really nice bedlinen and amazing shower!.. I will be back. Everything was brilliant. We thought Porthleven Holiday Cottages was excellent. Enjoyed the cottage very much. The standard was excellent. 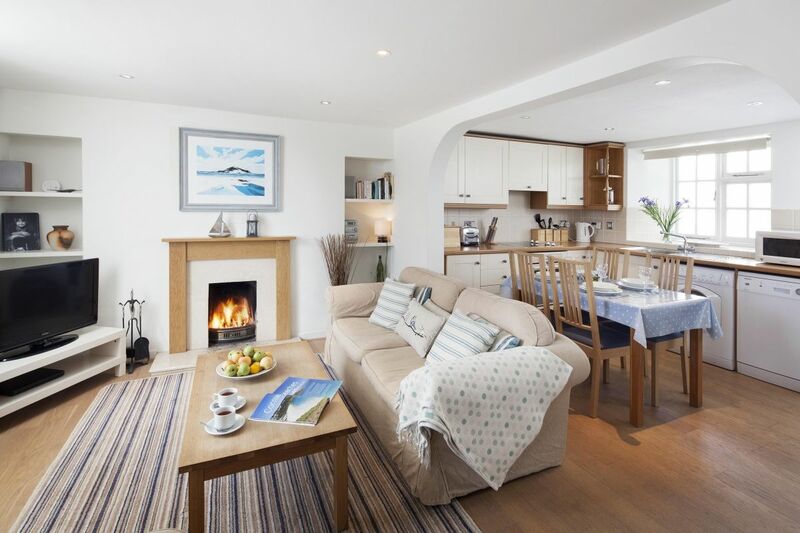 We are very happy customers and will not hesitate to use Porthleven Holiday Cottages again and recommend to friends. Property is lovely, well situated and very welcoming. We commend the property, the staff, the location, the weather, local restaurants and the shops - why are we going home? An excellent place to escape to..
Thank-you once again! Mackerel Loft is really comfortable and an excellent place to escape to. 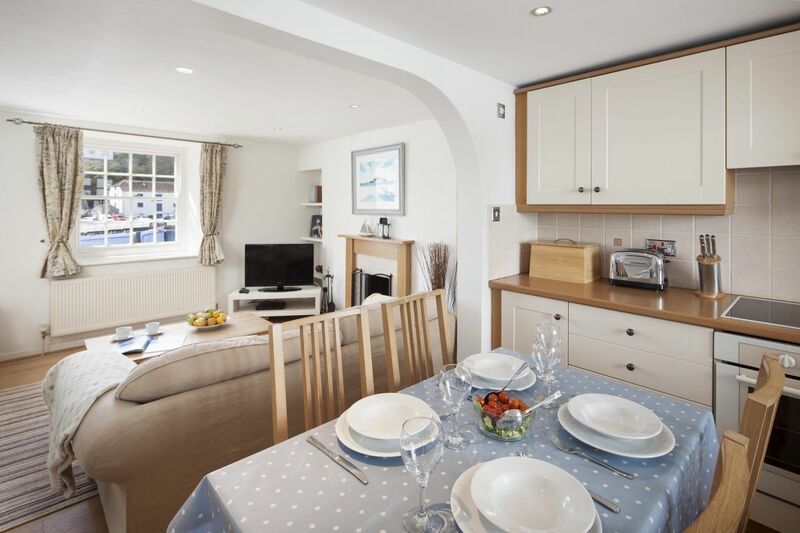 Fabulous cottage - spotlessly clean and beautifully furnished. What a fantastic holiday we've just had staying at The Old Butchers. The cottage is lovely and is extremely well kitted out. The Old Butchers is well situated 5 mins walk from all that Porthleven has to offer. Our dog also had a lovely week with even dog bowls and a treat provided! I would highly recommend The Old Butchers, we are planning our next trip! Le Onde is a fantastic place to stay. The beds were incredibly comfortable. The flat had absolutely everything we needed and was a pleasure to stay in. We fell in love with The Old Butcher's, its a perfect holiday home where you find everything you need to have a wonderful stay! Thanks a lot to the owners for the tasteful furnishings and thanks to the housekeeper for keeping it so clean.We would like to stay longer and would like to come back very soon. Accommodation at Trefusis was excellent, wonderfully clean on our arrival and very well equipped. Extra touches such as up to date maps, tide times and a selection of reading material were very much appreciated. 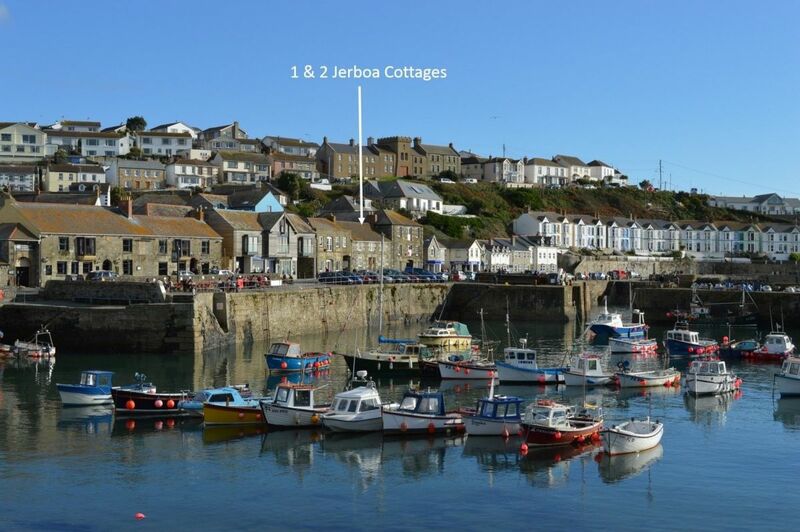 Porthleven is a charming seaside town which enables the holidaymaker to balance relaxation with activity! 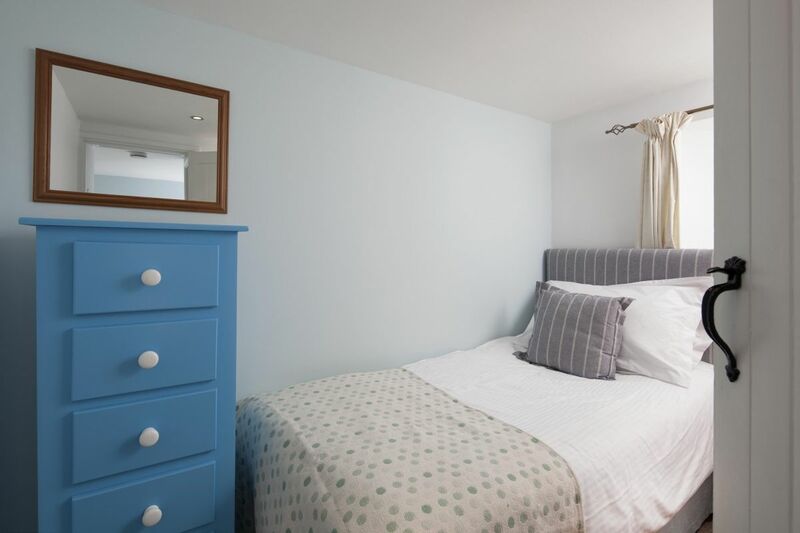 Delightful flat, nicely fitted out with lots of homely touches. First class finishes and furnishings. Many thanks to the Porthleven Holiday Cottages Team. Another fantastic stay in Porthleven. See you all soon we hope. Lovely last minute half term break had by all. We'll be back. Thank you. Booking, payment and everything else in the stay was easy and everything went perfectly. We'd definitely stay again. Your staff all provide wonderful service and we thank you very much for everything. 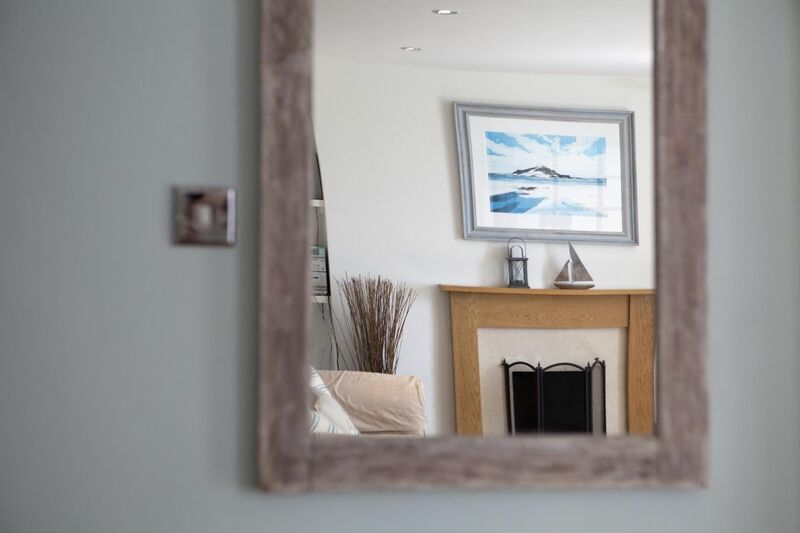 This is the second time we have used Porthleven holiday cottages and once again we have been amazed at the standard of the cottages. Saclara Cottage is beautiful and so well equipped & very comfortable. We will definitely be using this company again and again. We have stayed in Porthleven 5 times now all with Porthleven Holiday Cottages and have never been disappointed. We have stayed in 3 different cottages - all lovely. We have already booked 2 more holidays for next year - one in Beachcomber and a new one to us Fishermans Retreat - can't wait! Lovely location and homely place. Great attention to details would definitely stay again! Standard of accommodation was excellent. Service received was outstanding. Very satisfied with the service we received. Our family will continue to use Porthleven Holiday Cottages for the foreseeable future, thanks. The standard is high and the response of the staff is always speedy, helpful and pleasant. Massive thanks to the office staff who proactively helped us when we we snowed into Porthleven by offering us an extra night in alternative accommodation so we could safely get home the following day, absolutely brilliant service and we’ll definitely book with PHC again! I would like to subscribe to The Porthleven Holiday Cottages Mailing List.